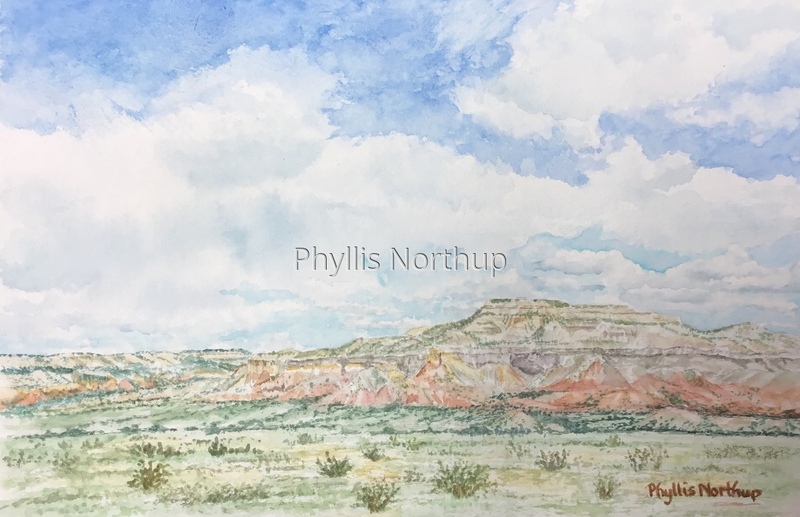 While driving through New Mexico this summer, I could totally see why this landscape near Abiquiu inspired Georgia O'Keefe so much. The rich colors and fascinating shapes of the landforms were an inspiration to me as well, and I painted this piece in her honor! Double matted and framed to 11x14 and available at Middle Street Gallery through April 21.